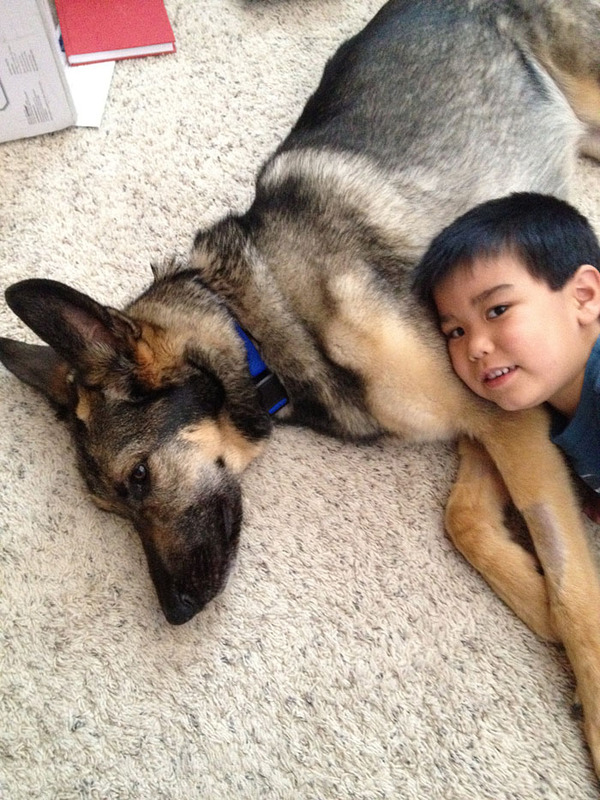 Silver von Sander is a gorgeous 3 year old sable German Shepherd. Silver is a very mellow and sensitive guy who loves to be in the same room with you. He is good with other dogs (big and small) and would enjoy having a canine companion at home as he does get lonely when his humans are away (no destructive behavior though). 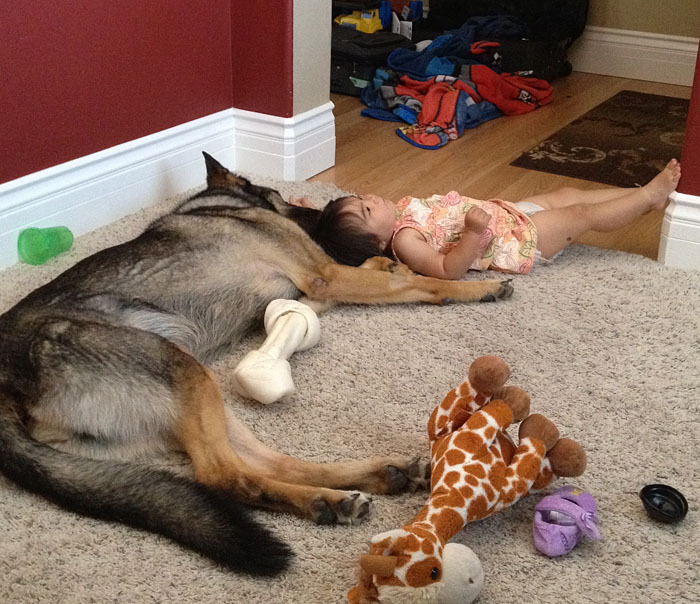 He does wonderfully with small children and will allow them to use him as their own personal pillow. 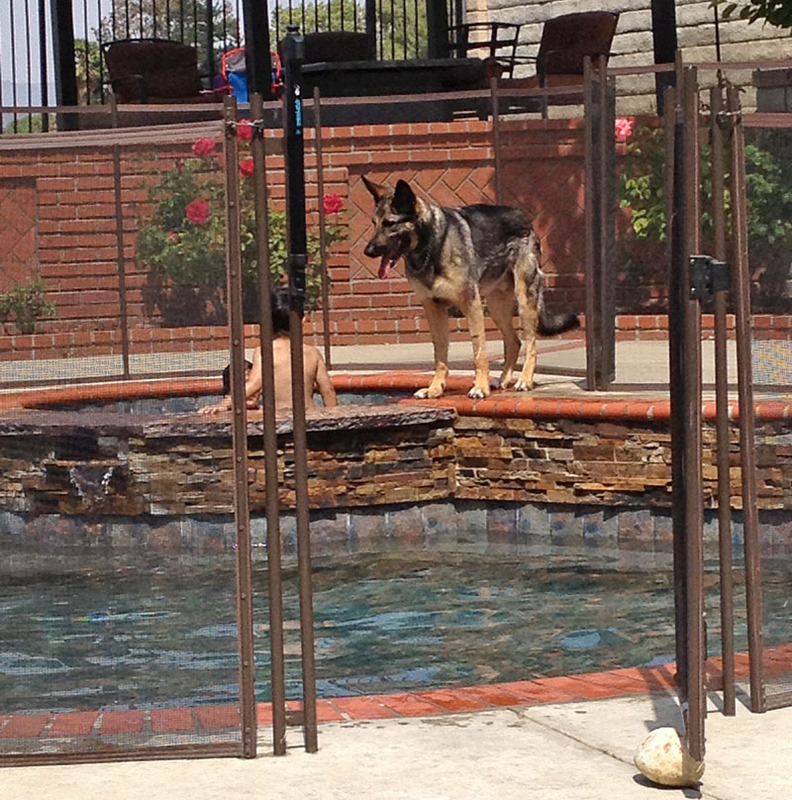 He also guards them in the pool! He can also live with cats! The more dog savvy they are, the better he does with not chasing them (no aggressive behavior either way and learns with a "leave it" command). 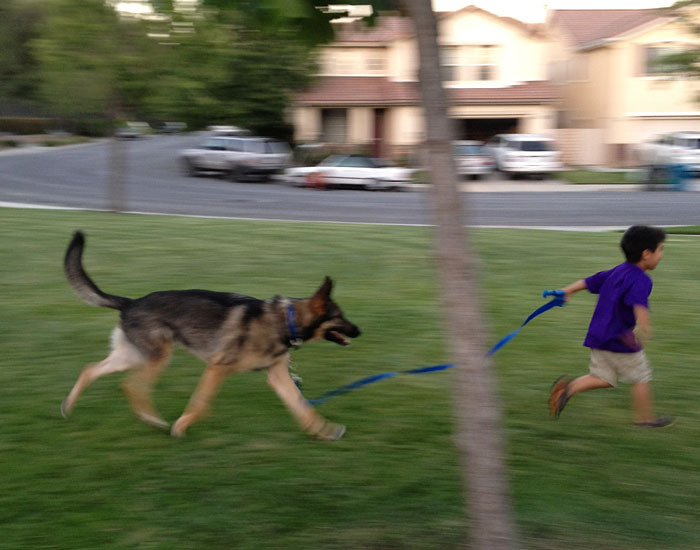 He may initially pull a bit on a leash, but takes corrections well, and stops about 5 minutes into a walk. This goes for the cat food too! An excellent watchdog, he will bark at passing people, but loves all people who set foot inside his home. He is also house trained, crate trained, and knows basic commands.